We would like to welcome a new mechanic to the Silverhawk family, Brandon Boardman! Brandon became interested in aviation as he spent a large portion of his childhood at his family’s business, Boardman Aerial Spraying, just west of Henderson, NE. His house was only a mile and a half west from the airstrip, making it very convenient for him to be there routinely to help his dad load up before a flight or perform maintenance on the airplanes. His grandpa and his two sons flew and his dad was also an Aviation Maintenance Technician, so you could say Aviation was in his blood. 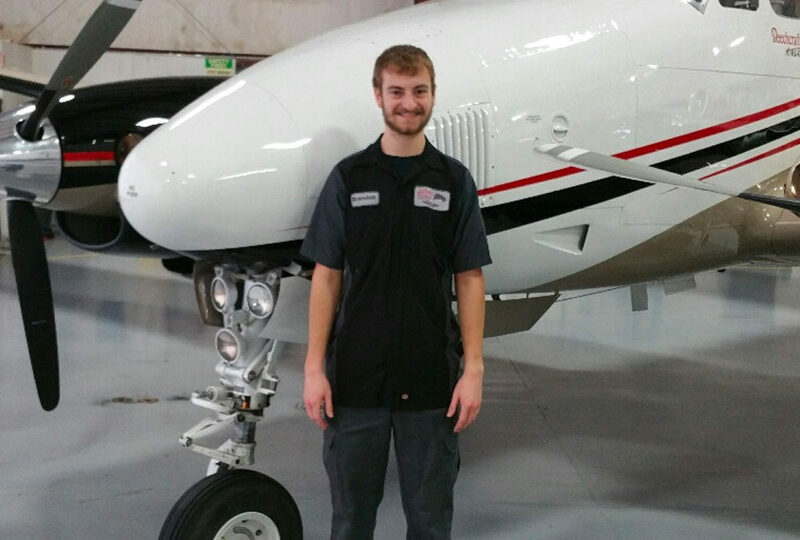 Brandon chose to further his aviation career by attending the school for Aviation Maintenance at Western Nebraska Community College where he earned his associate’s degree in Aviation Maintenance. The summer in between his two years at WNCC he spent as an intern at Aurora COOP working on mostly Air Tractors. We were blessed with the opportunity to meet Brandon in September when he joined the Silverhawk team. We are thankful he is on board and hope to have him here for a very long time. Next time you’re in the area, please stop by and give Brandon a big hello!